Suits are the everlasting royal wardrobe build for men which hold its crowning privilege since many years. Its reputation continues even now on the strong line as the attire tends to be inseparable from men’s wardrobe. Style and fashion are the two key terms which the urban men focus in order to flaunt special in the crowd. The urban men’s wardrobe typically include wide range of apparels that include suits, tuxedos, blazers, coats casual top, coats & jackets, hoodies and sweats, jeans, jumpers and cardigans, knitwear, outerwear, shirts, shorts, t-shirts, tees and vests, tops, trousers. Among these clothing collections, the desire for buying suits seems boundless among urban youths. Certain brands stay on top of the list in introducing new designs, patterns and collections of suits related to urban style and the list include Calvin Klein, Ralph Lauren, Michael Kors, Cardi, Hugo Boss, Jean Yves, and Neil Allyn. 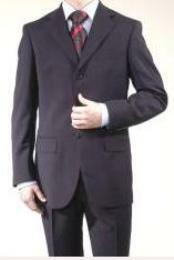 This suit brand ranks top among the other brands in the formal wear industry. The innovative styling and the fine fabric selection has made the brand vastly appreciated by the customers. The current urban suit collection that is been top on sale is the Mirage Calvin Klein tuxedo. Ralph Lauren: The most promising urban suit brand that has a royal touch in it. It can be also stated as the trend setter of American style as this brand is the major source in bringing upon the new trend of style. Quality is their byline and you can expect this in all of their tailored clothing which includes luxury suits, tuxedos, suit separates, and tuxedo shirts. Michael Kors: The brand is one of the heartthrobs among urban youths. Luxurious Venetian Super 130’s wool fabric is being used which naturally give a stunning and magnificent look to the wearer. Cardi: Focus on introducing mens formal wear regularly on to market which is of high strike on the sale due to their styles, patterns and fabric used. Jean Yves: The brand offers suit that are of updated styling in each of its elements such as color, design and pattern that are most convincible to younger generations. Top quality fabrics have been used to craft the tux to ensure a luxurious and comfortable, formal experience. Neil Allyn: The brand is also completely dedicated to formal wear. Quality, cut and the make has made the brand popular among men. Many new arrivals of suits for the current trend of 2016 have been launched and some of the noted collections are: Men professional suits for business winter collection 2016, International latest Giorgio Armani professional men suits 2016, Latest high branded formal dresses for business men 2016, Latest charcoal official formal suits for men 2016 and Latest business men suits 2016 from focus collection. The trendy apparels are introduced in such a way that it cannot be limited under any size constrains. Right from young boys to big men can flaunt style by wearing these modern outfits. The available sizes include short, regular, long, XL, XXL, XXXL, 32" short Chest to 58" long Chest.